Denser than balsa, basswood is quickly becoming a preferred material for many rocketry uses. Stronger and more finely grained than balsa, bass is a good choice where weight is not a big consideration. The tighter grain makes it actually easier to shape and finish. 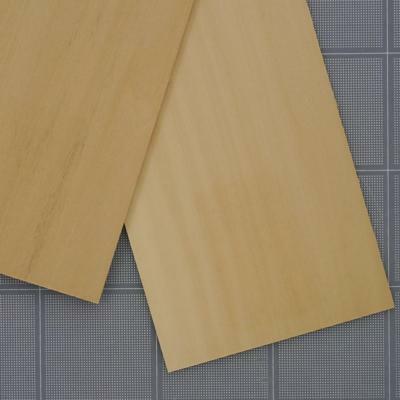 Basswood sheets for making model rocket fins.